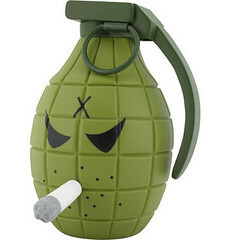 Products with a bang: A gallery of grenade-shaped gadgets UPDATED! 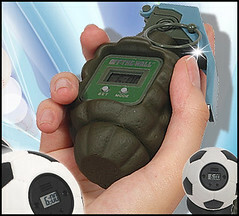 The only way to silence it is by throwing it, which is exactly the opposite of what happens with a real grenade. 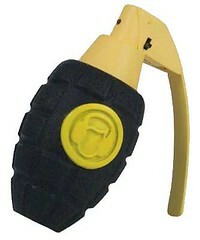 There is an even better product when it comes to form vs. function and hand-held explosives: The grenade-shaped stress release thingie. 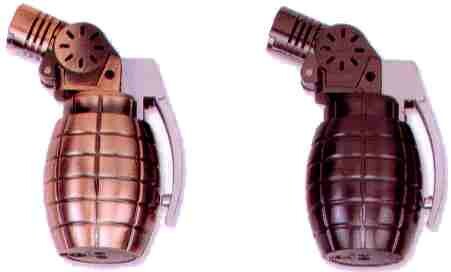 While most grenade products are of this utilitarian sort, not all are. There is, for example, this to-die-for (figuratively) jewelry case. It would be the perfect home for two items previously documented here at CD. L’Oreal’s Flowerbomb perfume which was taken to be a terrorist threat at the Oslo airport and these oil lamps — just the thing to brighten up the home. 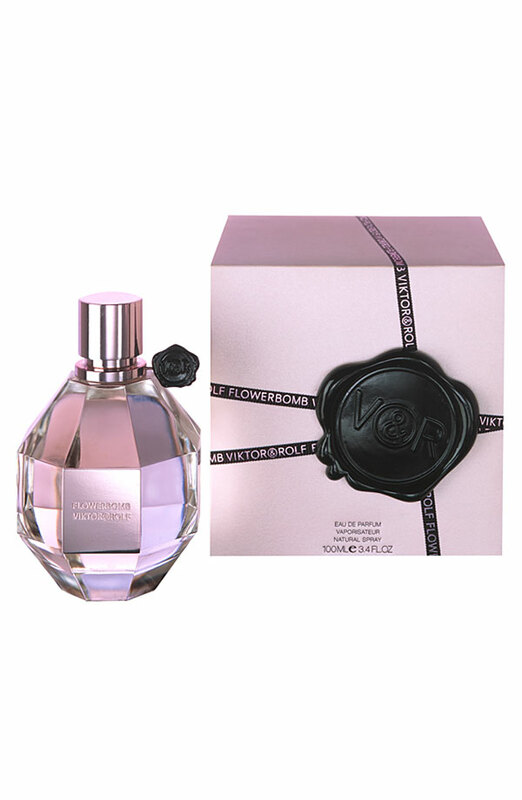 There’s also t’Zerah Grenade Actif Botanical Lifting Serum — which at $165 an ounce may be the most expensive grenade-inspired product on the market. 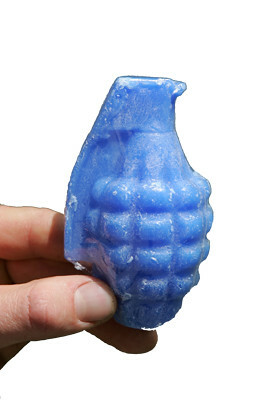 “Made with 100% active botanical ingredients, Grenade Actif awakens the skin, toning and lifting with its proprietary mix of cooling aloe vera, firming marine algae, and nourishing plant oils and extracts including POMega5 pomegranate oil.” Not sure what that has to do with grenades … wait, here it is … it can be used for “fighting free radicals that damage and age the skin.” The White House will take a dozen. 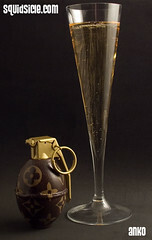 The anti-aging serum is one of the few products to invoke a grenade that isn’t shaped like the classic U.S. WWII pineapple version. 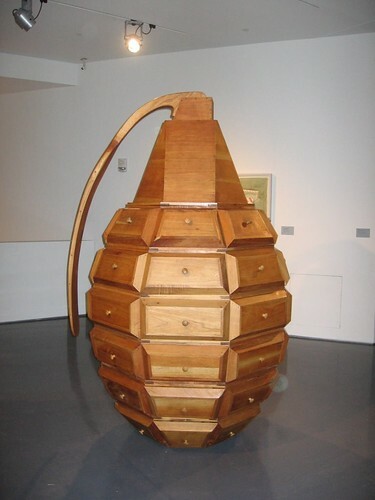 Others include the wood grenade, a log-splitter which probably gets its name from what it does rather than what it resembles. 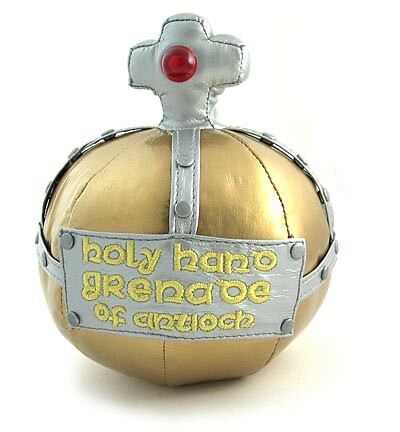 There is also the Holy Hand Grenade of Antioch plushie from the fine folks at Monty Python. 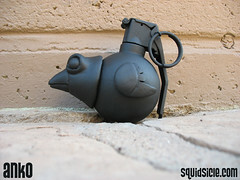 The amazing artist Anko at Squidsicle did these Louis Vuitton and Ducky Grenades in the modern mode. 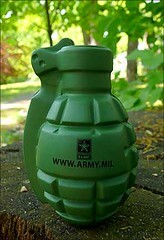 The draw of the grenade as design feature is so strong that there really need be no connection between the product and package. 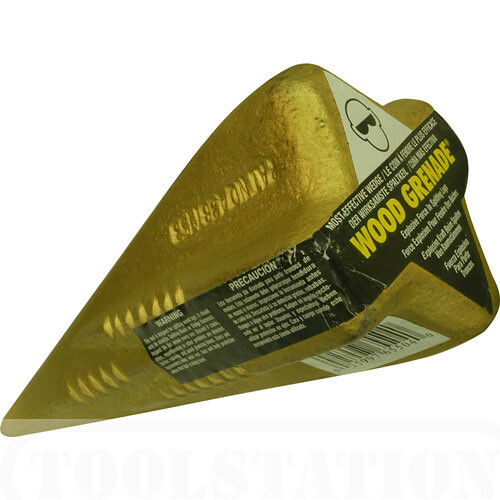 For example, what worse shape could there be for something meant to spread wax on to snowboards or skis? Nothing, but so what? 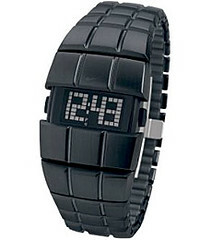 If all that is just too representational then how about something low-key & explosive on your wrist? 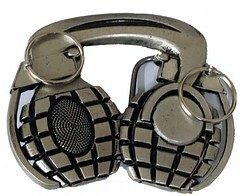 My favorite for a head-scratching mashup is this grenade-as-headphones beltbuckle. 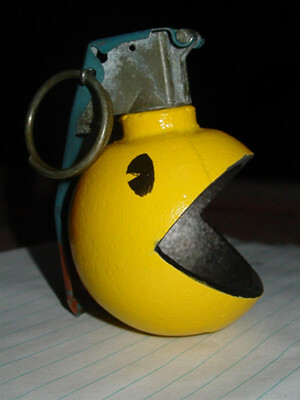 This entry was posted in Alarm clock, Death as marketing opportunity, Flowerbomb, Grenade, Holy Hand Grenade of Antioch, Jewelry case, Kid Robot, L'Oreal, Louis Vuitton, Marketing, Pac Man, Peter Gronquist, Stress relief, t'Zerah and tagged , art, charles kraft, delft, design, grenades, Holy Hand Grenade of Antioch, L’Oreal, Marketing, Peter Gronquist, t'Zerah. Bookmark the permalink.